Natural Tides Mediterranean Natural Sea Salt is a product from the sun, wind and water: Natural Tides's dazzling snow white sea salt originates in the Mediterranean Sea where crystal clear waters ebb and flow through an environmentally preserved coastal region. Here, the sultry sunshine and gentle winds evaporate the sea water, leaving behind premium Natural Tides Sea Salt. 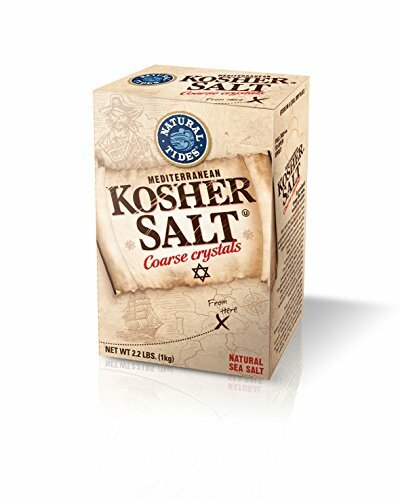 Traditionally harvested for centuries, the salt is unrefined, unbleached and contains naturally occurring essential trace minerals--calcium, magnesium and copper. Think global--Natural Tides pioneers the introduction of a socially and ecologically responsible Fair Trade Certified sea salt. They are happy to be among the first companies to be a part of a growing trend globally to certify fair trade producers regardless of their locality, but rather on the basis of the merits of their social, ecological, and fair price practices. If you have any questions about this product by Natural Tides, contact us by completing and submitting the form below. If you are looking for a specif part number, please include it with your message.